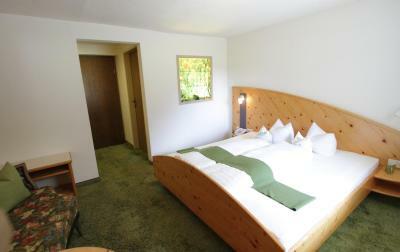 Lock in a great price for Bio Hotel Stillebach – rated 8.9 by recent guests! La gentillesse du personnel, la propreté, la bonne literie, la belle vue sur la montagne, la bonne cuisine. C'était vraiment super. Frühstück ok. Abendessen phantastisch. Der Koch kann was. Und gesund noch dazu:-) Die Wirtsleute sind nett und natürlich. Der Blick vom Hotel ins Tal hinauf ist wunderschön. Sehr tolle Betreuung und sehr freundlich. Essen war super, auch Frühstück war sehr reichhaltig und gut! Kompetentes und sympathisches Personal, sehr gute Küche und sehr feines Frühstück! Superfreundliches Personal, leckeres Essen ... Wir haben uns sehr wohl gefühlt! Tolle Bio- Küche, sehr kreativ. Tolle Freizeitangebote, sehr familiär. Lecker Frühstück und essen aus regionalen Produkten. Zentrale Lage zum Eisklettern. Wasserfälle direkt hinter dem Haus. Großzügiger Skiraum zum trocknen der Sachen. Bio Hotel Stillebach This rating is a reflection of how the property compares to the industry standard when it comes to price, facilities and services available. It's based on a self-evaluation by the property. Use this rating to help choose your stay! 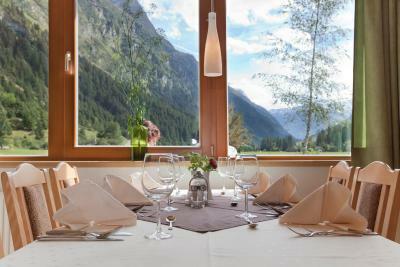 Surrounded by an impressive mountain landscape, this 3-star hotel is located in St. Leonhard in the Pitz Valley. It features a spa area and a restaurant. 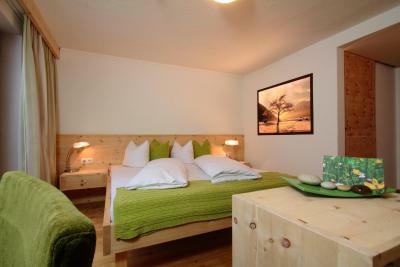 Bio Hotel Stillebach rooms feature a terrace, a safe, satellite TV, and a bathroom with hairdryer. 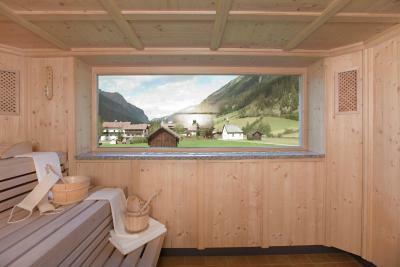 The spa area includes a sauna with panoramic views of the village church, an infrared cabin, Kneipp facilities, and a natural swimming pond. 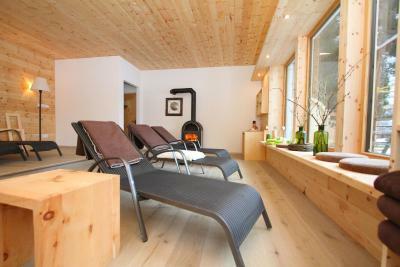 For children a playroom and a playground are available at Bio Hotel Stillebach. 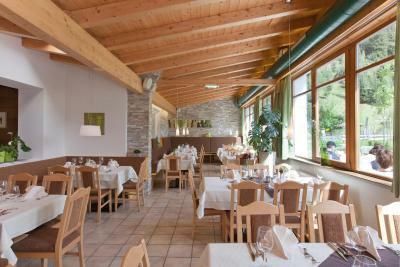 The restaurant serves Tyrolean and international cuisine. Half-board includes a breakfast buffet and a 3-course dinner with a choice of dishes and a salad buffet. From June 2011, the restaurant will only serve organic products. 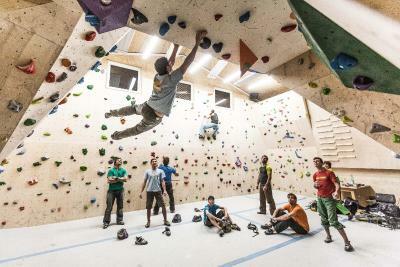 Free private parking is available at Bio Hotel Stillebach. 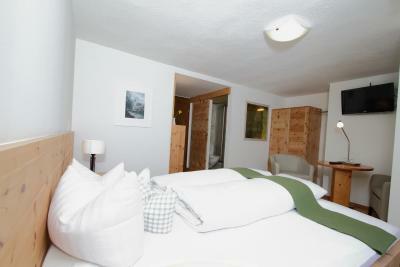 When would you like to stay at Bio Hotel Stillebach? Room with a flat-screen TV and a bathroom with a hairdryer. Room with a flat-screen TV and a bathroom with hairdryer. 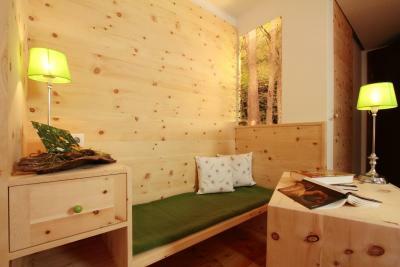 Room with wooden furniture, a flat-screen TV and a bathroom with a hairdryer. Some rooms come with a balcony. Spacious apartment with 2 rooms, a sofa, a flat-screen TV and a bathroom with a hairdryer. South-facing room with a flat-screen TV and a bathroom with a hairdryer. 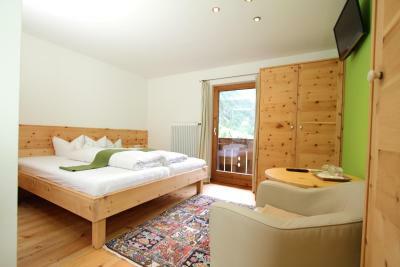 The room has wooden floors and features a balcony with views of the valley. 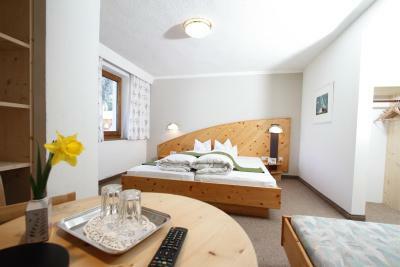 Room with a south-facing balcony, wooden floors, a flat-screen TV, and a bathroom with hairdryer. House Rules Bio Hotel Stillebach takes special requests – add in the next step! Bio Hotel Stillebach accepts these cards and reserves the right to temporarily hold an amount prior to arrival.